BOSTON, June 13, 2011 – The call of the wild echoes throughout the Dallas World Aquarium, where visitors to one of the city’s most popular attractions can experience nature from five continents, 14 countries and three oceans. As the sounds of wildlife emanate from the diverse range of live animal exhibits, a host of presenters and performers use a range of professional audio equipment to further enhance the visitor experience. Crescent Sound and Light, a Louisiana-based production and systems integration company, recently upgraded the sound systems for several exhibits. The company chose Technomad Noho and Vienna advanced audio loudspeakers to reproduce intelligible voice and full-range musical audio in the Giant River Otter and Crocodile display in the Orinoco exhibit range; and the Temple of the Jaguar in the Mundo Maya exhibit range. According to Mike Smith, president of Crescent Sound and Light, Technomad weatherproof loudspeakers were selected for their exceptional audio quality and ability to survive the harshest environmental conditions. The air temperature is set to a consistent 76 degrees, with high humidity levels and constant moisture to ensure survival of the indigenous flora and fauna. Smith added that flexible mounting options assisted his team in meeting the installation specifications, which required that the loudspeakers were hidden from view. 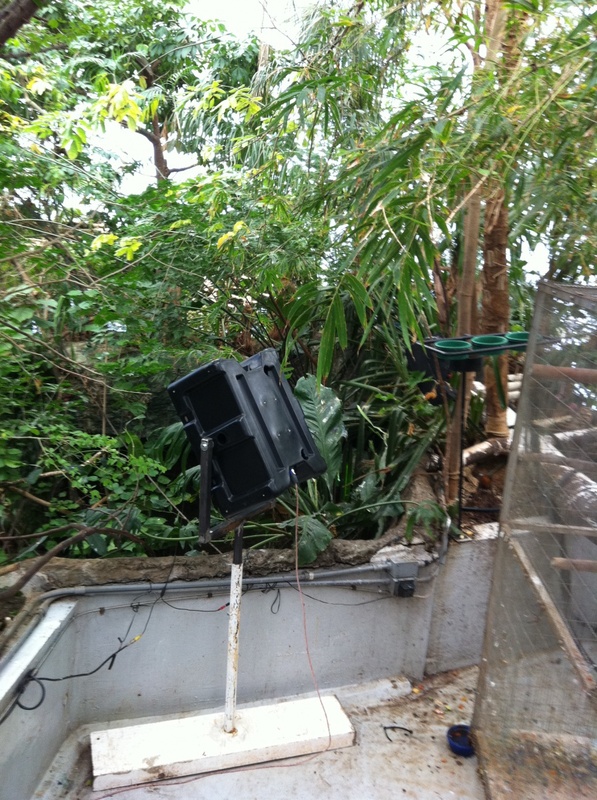 Three ceiling-mounted Nohos in the Giant River Otter and Crocodile exhibit are surrounded by fauna to conceal the loudspeakers. 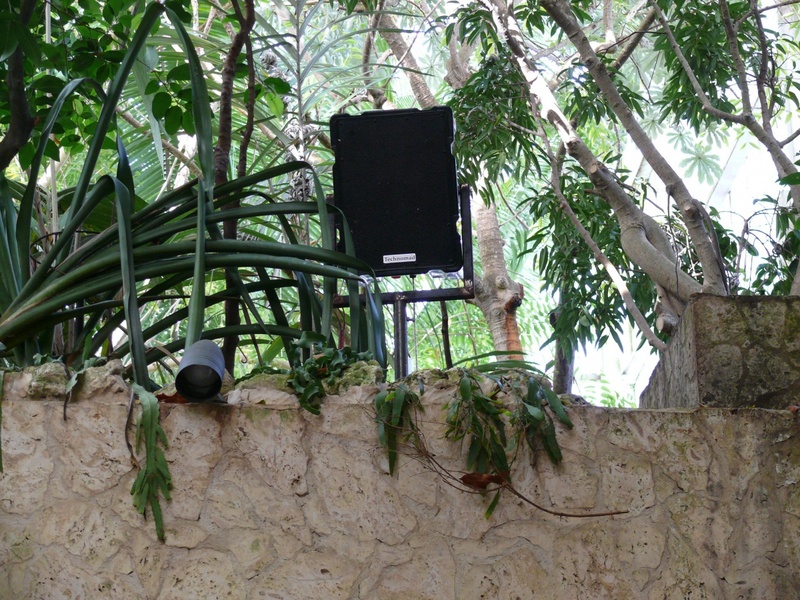 The Vienna loudspeaker is mounted to the highest bridge in the multi-level exhibit to provide near-fill audio to spectators. Two Nohos are likewise ceiling-mounted and concealed in the Temple of the Jaguar, a lively exhibit featuring weekend musical performances and tribal routines from the Mayan Performance Troupe.